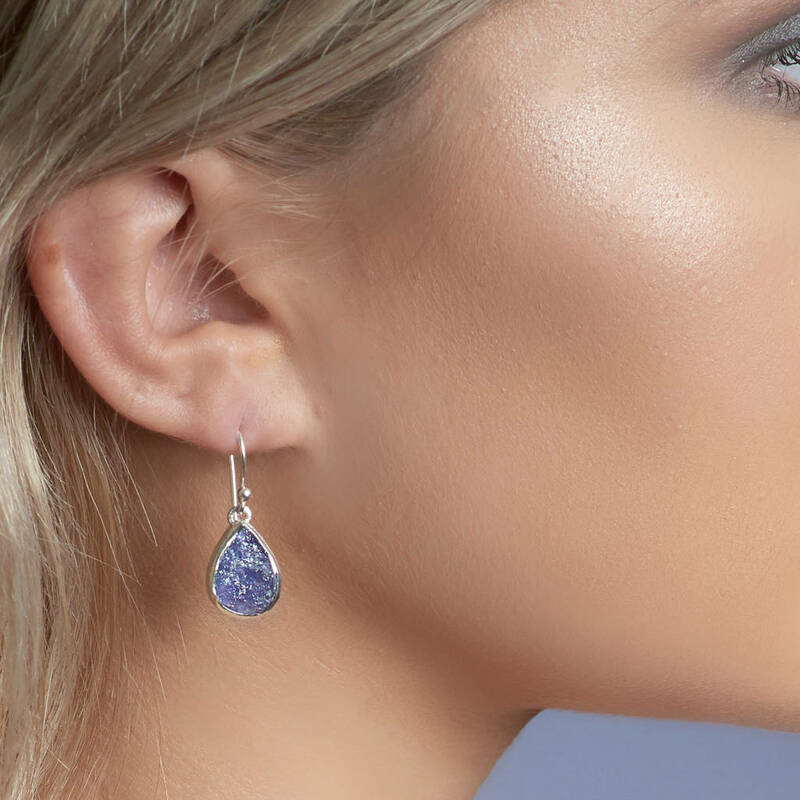 Very pretty handmade ladies gemstone earrings set with rough cut tear shape Tanzanite gemstones set in a brushed sterling silver setting. 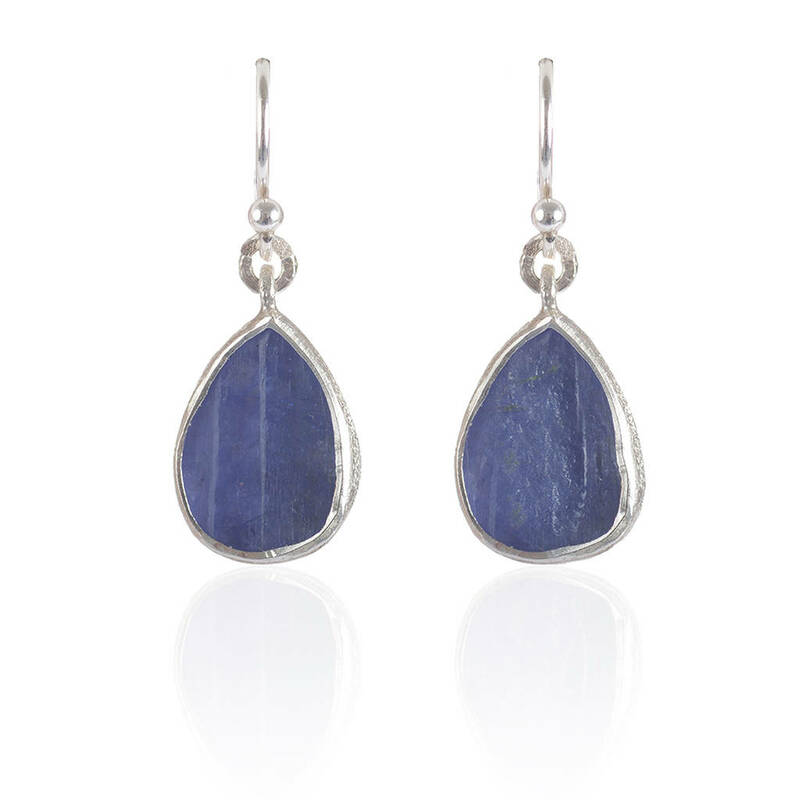 In a wonderful shade of blue these handmade tear shaped rough cut Tanzanite gemstone ladies sterling silver earrings are suitable for both daytime and evening wear. 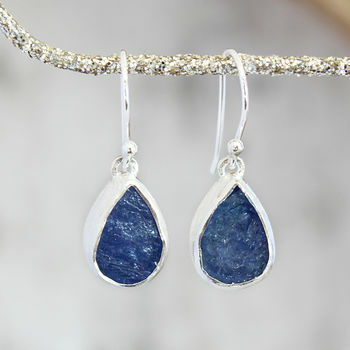 Tanzanite is the birthstone for December so would make a lovely unique birthday gift for your loved one. 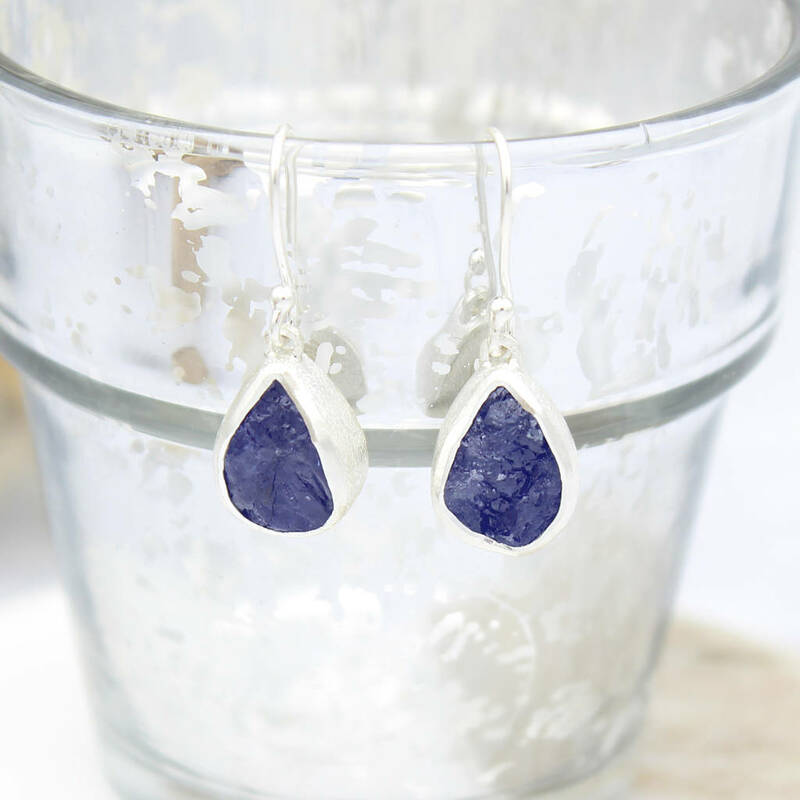 These lovely earrings are handmade, our natural rough semi precious gemstones are hand selected for quality and colour ensuring every piece of jewellery is unique. 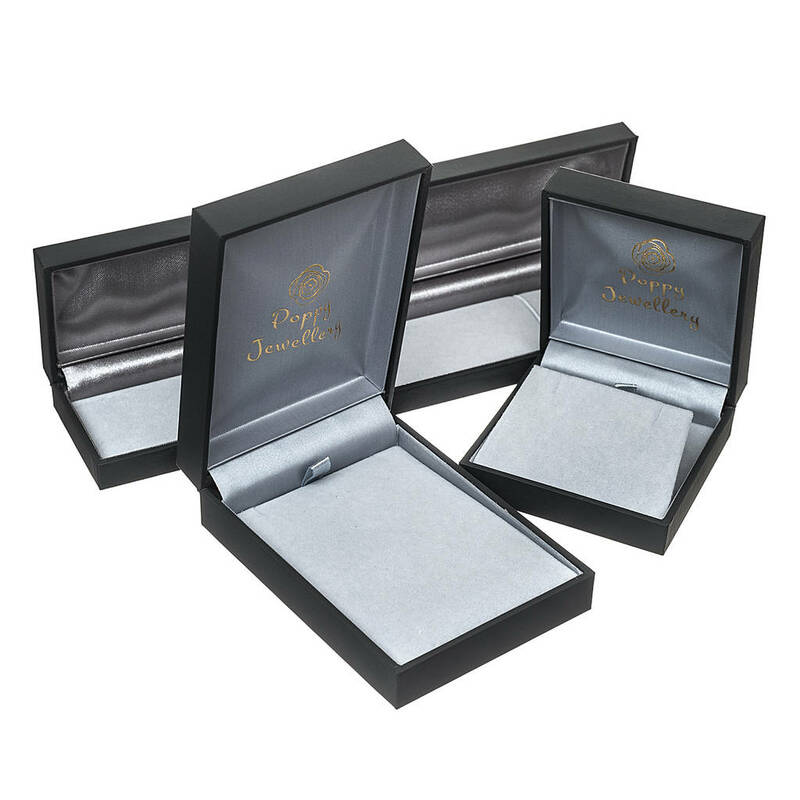 Each rough stone will vary slightly in size, shape and colour. Please note: earrings are non returnable. 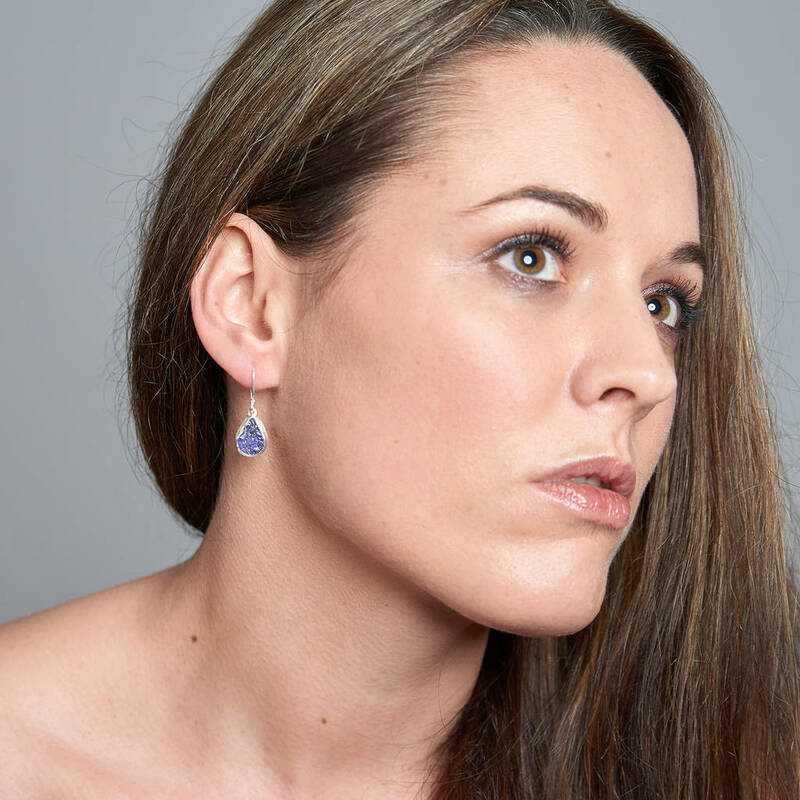 Brushed sterling silver with semi precious rough Tanzanite gemstones.